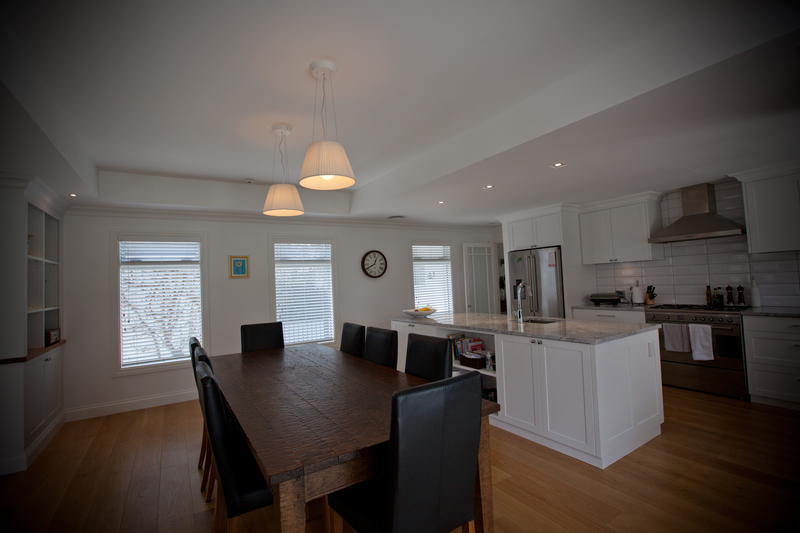 In this high end architectural home we installed a Rondo concealed screw fix grid ceiling. Creating an impeccable stairwell skylight. 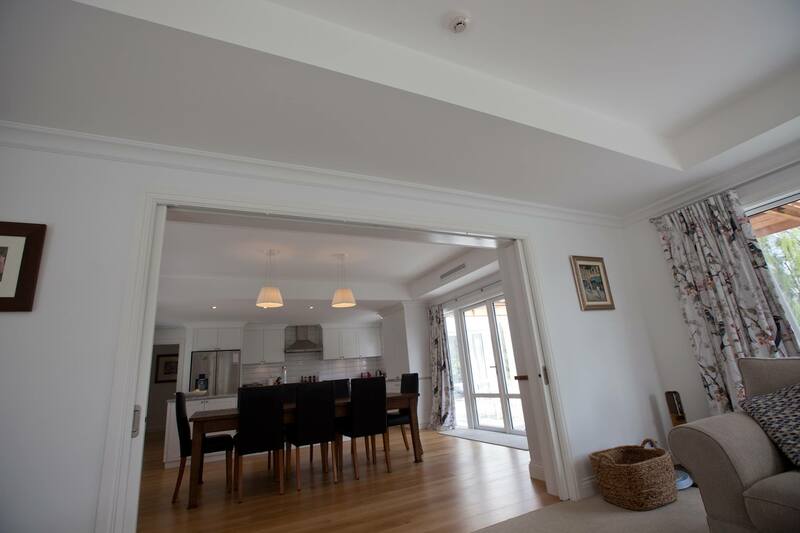 This project contained multiple coved ceilings and large bulkheads to suit full height cabinets and window widths.